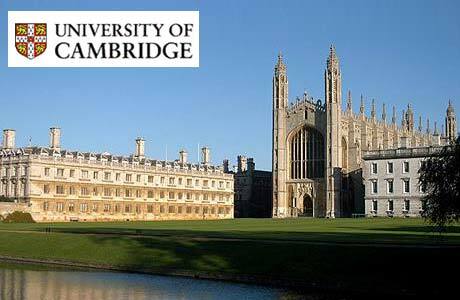 A new opening postdoc position in bioinformatics is available at University of Cambridge, UK. Applications are invited up to December 09, 2018. We are looking for a full-time researcher to join the group of Dr Cedric Ghevaert at the University of Cambridge Department of Haematology based on the Cambridge Biomedical Campus. You will be joining a group working at the forefront of research into the production of blood cells for human use. Building on an outstanding track record of research in the production of red cells and platelets from human pluripotent stem cells (e.g. Moreau et al Nat Commun 2016) and the use of 3-dimensional bioreactors (e.g. Shepherd et al, Biomaterials 2018), we are developing techniques for the affordable mass production of these cells at clinical grade. Your research will focus on megakaryopoiesis and platelet biogenesis from human pluripotent stem cells and how cells can be forward programmed through the manipulation of transcription factor networks and the creation of 3D biocompatible niches and bioreactors. You will have experience of working with human pluripotent stem cells and cell programming. Knowledge of transcription factor networks, platelet biology and haematopoiesis as well as basic bioinformatic analyses will be highly advantageous. We seek someone who will drive and develop our project, taking responsibility for all areas of its progress. You will be actively involved in the management of a small team comprising junior post-doctoral fellows and students as well as running of the laboratory. You will train students and junior staff as well as external collaborators transferring techniques from this group to their own institutions. You will therefore have a track record of conducting your own research and an interest in clinical application. Experience of supervising and training colleagues would also be desirable. You must hold a doctorate in a relevant subject and will have published several primary research papers as a first author. We are members of the Wellcome-MRC Cambridge Stem Cell Institute and you will be based in our brand new state of the art building on the Cambridge Biomedical Campus. We also enjoy strong links with the NHS Blood and Transplant and leading labs across Cambridge and beyond. You will be able to work with highly skilled and dedicated colleagues and have the potential to develop collaborations and take forward your career. This is an excellent opportunity to join an outstanding lab at a very exciting time. Informal enquiries are welcomed and should be addressed to Dr Cedric Ghevaert (cg348@cam.ac.uk). The closing date is 9 December 2018, with interviews to be confirmed.